View our virtual tour of our Top Royal South listing! 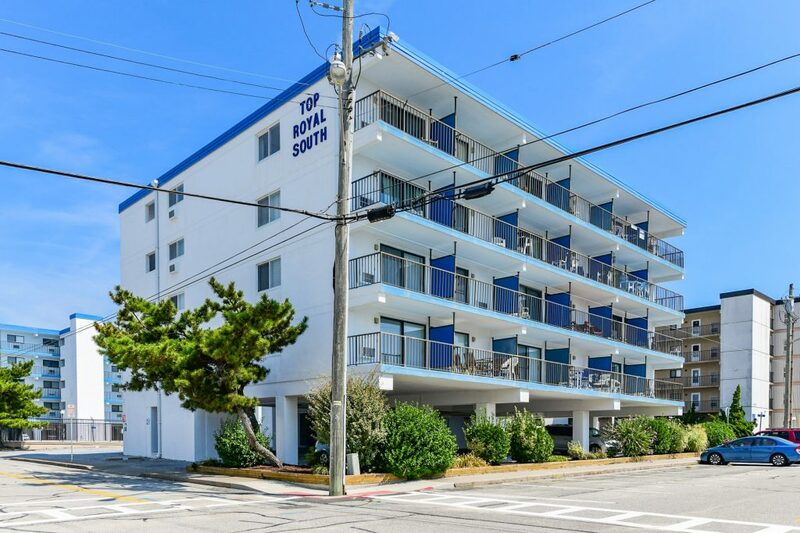 Absolutely immaculate 1 BR\1.5 bath Ocean Block condo in desirable North Ocean City. Upgrades to the unit include beautiful granite counter-tops, tall cabinets, water heater, carpeting, a/c units, and a stylish barn door for easy access to the laundry room, complete with front load washer and dryer. The South facing balcony offers great Ocean Views. The master bedroom has a private half bath. Condo comes fully furnished! This pet-friendly building has assigned parking, pool, elevator, and an outside shower. Great location, close to the Beach, Northside Park, and restaurants.Strong Weekly Rental and/or Vacation Home!